A call to worship is an invitation for the congregation to turn their attention toward God. It’s typically not intended to be a lengthy intellectual discourse but a summons. That is, unless you’re looking to invoke a particular tone or focus in a service like Good Friday or Christmas. The call to worship can be used to address the congregation, or it can be spoken corporately. Here are 10 brief and emotive calls to worship that come directly from Scripture. You can have a lay leader or pastor speak these words at the beginning of the service to the congregation, have the entire congregation speak these in unison, or simply have a worship leader speak these words at the beginning of a song. This is a perfect example of a call to worship. It’s simple, concise, and immediately reminds listeners that they’re gathered as God’s people. Drawing attention to the Lord’s salvation and the blessings that he liberally pours out upon his children immediately creates an atmosphere of worship. This call to worship is a little on the long side, but still effective. For an invitation of this length, it’s helpful to have your musicians play under it. This will help draw the worshipers in and keep their attention as the call to worship is recited. Obviously, the Psalms are a perfect source to mine for calls to worship. After all, it is the Jewish hymnal, and it’s full of beautiful expressions of reverence. This is a perfect invitation, especially if it transitions immediately into singing. If you’re planning on kicking worship off with an up-tempo song, this passage from Psalm 66 is a great place to start. It’s emphatic, powerful, and perfect for building up worshipful enthusiasm. Brief but compelling, this call to worship is really on the nose. There’s no question what the congregation is being invited to do. It’s the simplicity of this call that makes it so powerful. It’s a good way to begin a worship service that will start slowly and build to an energetic finish. Here’s another longer call to worship that can be used in a number of ways. You can call people to worship with the first stanza, and build the song choices around the other stanzas introducing each song with the appropriate verses. You can also have people in the congregation stand up and read a different stanza from their place in the sanctuary as a call to worship. Here’s an intriguing take. In this one, the Lord calls his people to worship—and that worship becomes an avenue for making his name renowned among the nations. If you use this call to worship, you might even consider increasing its potency by lighting some incense in the sanctuary or use a hazer to simulate what the Israelite people experienced (if you can’t have smoke in your church). If you’re putting together a service with a more reflective tone, this quote from Jesus is a strong call to worship. Worship leaders are often guilty of talking about worship in a way that assumes everyone is already full of joy. This invitation can be used to acknowledge that not everyone comes to worship from the most ideal circumstances—but worship can still be a place where they find peace. One of the glories of the gospel is that—despite our lack of merit—we all have access to the throne room of God. The invitation to confidently approach God and receive mercy and grace is what sets Christianity apart in the pantheon of world religions. This call perfectly encapsulates this privilege. Highlighting the reciprocal nature of our worship, this invitation reminds worshipers that the Lord ministers to us as we minister before him. For congregants that have a hard time engaging in worship, this call alerts them to the fact that Jesus is waiting for us to reach out. Scripture is full of strong passages for leading people into worship. As you spend time in the Bible, pay attention to verses that can be used to inspire your congregation to worship. Look for passages that talk about the bigness, goodness, and love of God and use them to kick off your worship service! Share your favorite calls to worship with us in the comments! If you’re looking for appropriate tone to end your service, check out our list of scriptural benedictions! It seems that the Call to Worship is a Scripture reading that intentionally calls peoples hearts to worship … come into His presence with praise and thanksgiving … come into our assembly and help our feeble hearts to love and adore You. Indeed the call to worship and the closing benediction might be thought of as book-ends around that precious time when we corporately come into God’s presence. The trinitarian formulae that you suggest is a great Call to Worship, but would also be well suited to a doxology or a benediction spot. I was pleasantly suprised by the non Psalm verses, as I didn’t think of them as a call to worship, especially Hebrews4:11. You are right! 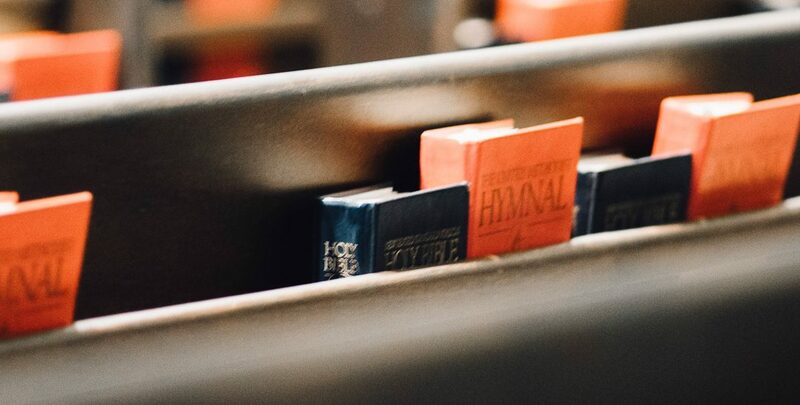 We easily default to Psalms for scripture on Worship, but there are so many other great scripture that can be applied to our Worship Services (and of course our daily life). Thanks for reading and be blessed! do you have one that relates to courage? Hey David! We don’t have anything done for courage, but I’ll definitely add it to our list. Thanks and be blessed! Joshua chapter 1:3-9 is one of my favorites. The same God then is the same God of the present. Ministering to our spirits.Working by His Blessed Holy Spirit.I was indeed blessed with these wonderful worship ideas. The Lord indeed led me to your article. Thanks, Charlotte, for sharing this scripture. That’s a great one! Thanks for sharing these! I worship at the Upper Room Lutheran Orthodox Church in The Bronx, NY. We open every service with a reading and a reflection from the scheduled Psalm from our Lectionary. It really goes a long way to focusing our minds on Christ and contributing to a worship mind-set. Fay – thanks for the comment. Hebrews has some great scripture that we often overlook. Thanks and be blessed! I am familiar with some of the scriptures. They are all awesome and spirit filled. Great job for the compilation. Thank you for the feedback. Let us know if there is anything else we can do for you. Thanks and be blessed! Thanks for the beautiful verse, i love all of it. This is also a great one! Thanks for sharing! The LORD is in His only temple; let all the earth keep silence before Him. This is a great one from Habakkuk 2:20 (ESV). Thanks for sharing! thank you for Psalm 100. I am a worship leader at a methodist church in UK and once a year, at Christmas, I bring in a brass band and we have a really good sing using carols, prayers, bible readings, sketches, solos and funny songs. Children love 12 Days of Christmas and Rudolph the Red Nose Reindeer and the adults enjoy Winter Wonderland. Its all about having a good time. Our normal congregation might be 18-24. On that day it numbers 70-80. We dont pass round the offering plate, we have a retiring collection. Our pleasure! It’s always encouraging when we are able to bring the Love of God and Truth of His Word to more people during special days like this. We are praying for you and your congregation to be an impact in your community. Be blessed! As a note, I used http://www.biblegateway.com to search for the scripture and found it there. Blessings! Roslin – our pleasure! Blessings to you! 8 Taste and see that the Lord is Good…. I am new at leading my Church and these Call to Worship scriptures are so helpful for me. Thank you for sharing. Gayle – our pleasure! We are happy to serve! Praying for you at your new role. Be blessed! God richly bless you Aaron West and grant you deeper wisdom. Amen. It is an eye opeoner to read your call to worship as we usually refer mostly to the psalm but here other biblical passages are very relevant for call to worship.